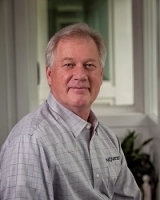 Mark Haynie is the Dryer Product Manager for Novatec. He has a Degree in Chemical Engineering from Virginia Tech and post graduate in Mechanical Engineering from John Hopkins University. He’s been designing and constructing dryer systems for nearly 40 years and has published data in various technical publications. Mark is the Dryer Product Manager for Novatec, Inc where he’s been since 2001.